As the case for all our products, different finishes bring out different features and characteristics of the natural stone. 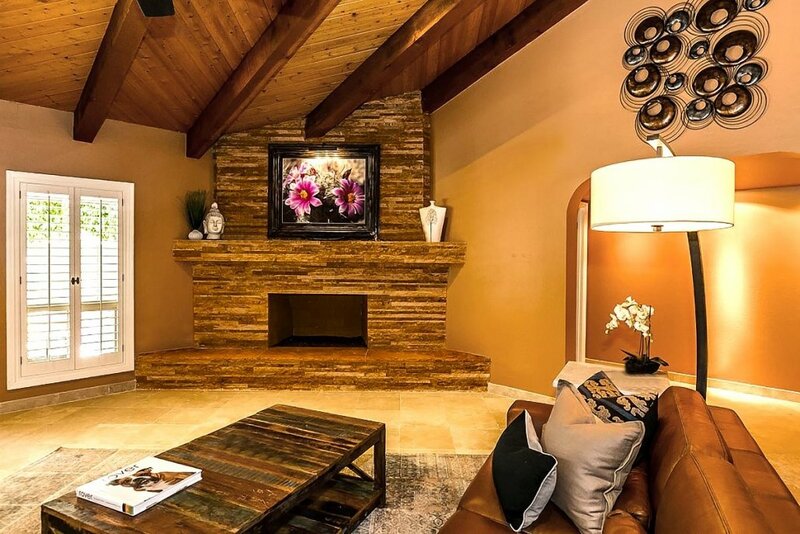 In this image you can see the Honed and Resin Filled tile on top of the Bushhammered tiles, the features of the stone are enhanced with the Honed and Resin Filled finish. 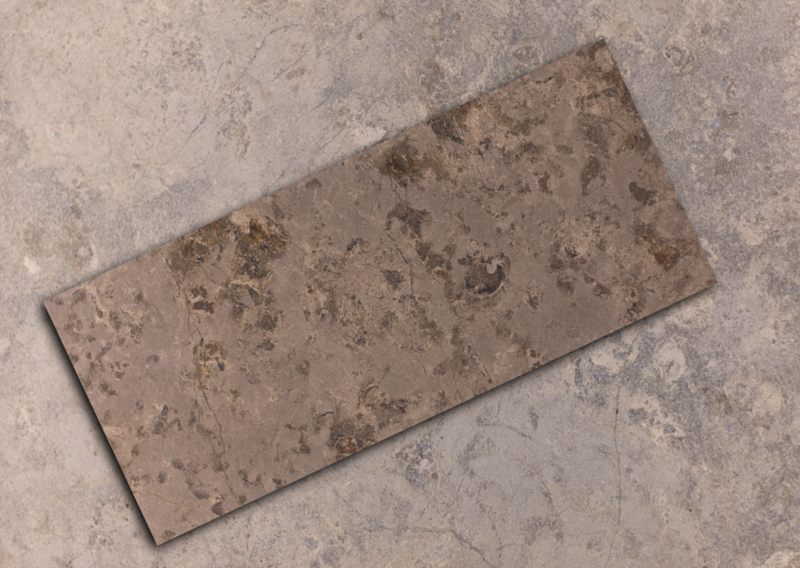 The Bushhammered finish is more muted but attains a very slip resistant surface. 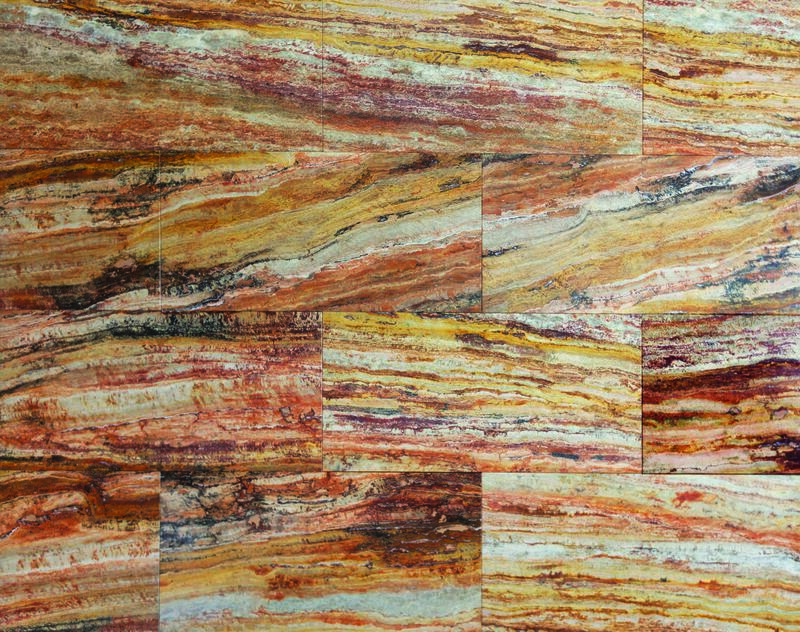 As shown in this image, The Ashian line contains a blend of natural colors that will fit in any style. The coloration range is very wide with this unique stone. The quarry is large, and the block yield is huge which means anywhere from large slabs to mosaic production is available in all finishes as well. Both standard and custom production is available. Check out this unique shower showing the Ashian material. The standard dimensioned material used makes this shower provide an elegant custom look. Ashian Ledger Stone has created this extraordinary fireplace surround. 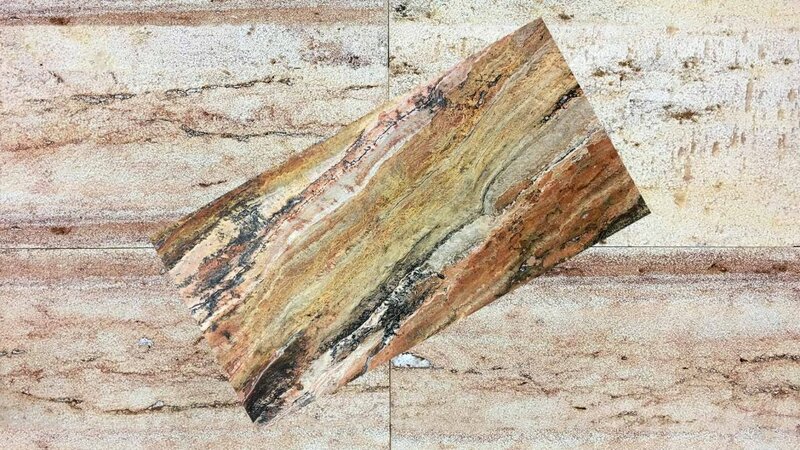 Due to Durango Stone’s capability of all custom production, you can utilize this stone in all types of settings. Ledger stone dimensioning is a standard production, but not limited to any custom dimension requirement.